The Time Needle series encapsulates both time and labour of the artist. In this public sculpture context, a marble plaque is used to denote the location where one of the Time Needle is being buried as a time capsule. 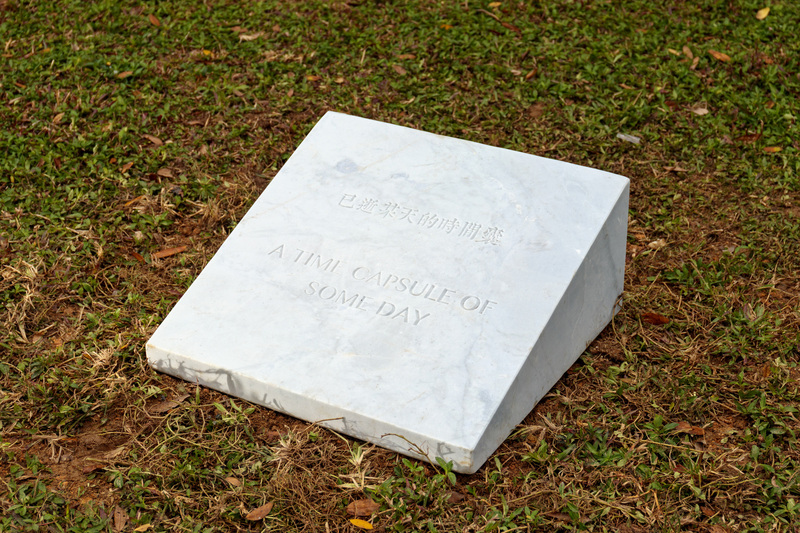 Engraved in bilingual in Chinese and English on the plaque is the statement “A Time Capsule of Some Day”, which aligns with the artist’s predicament of time passing and allows the audience to indulge in both its irrepressibility as well as the imagination of the work itself underneath. The location of the work is carefully selected to be juxtaposed with the existing public sculpture as well as its representation of the notion of “public sculpture”. Regarding the Time Needle: The metal powder is collected from each day which I perform the daily ritual of filing the metal bar. The metal bar is custom made to be the same height and weight of myself; While the action of filing a metal bar comes from a Chinese allegory speaking one’s persistence can grind a steel bar into a needle. 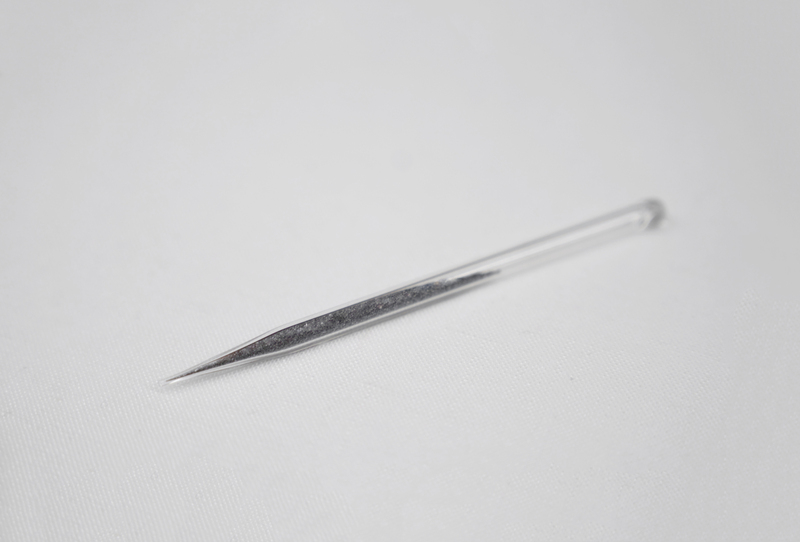 Borosilicate glass tube in shape of a needle is used to seal metal powder from one day. The tube not only reference to the needle envisioned in the allegory and the performance, but also capturing wasted effort of an artist as if a time capsule. 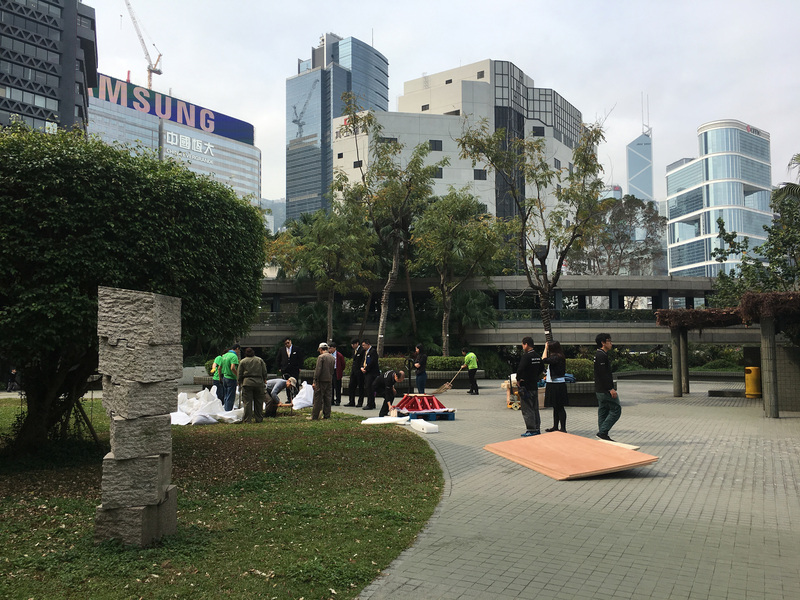 Setup Still with existing public sculpture in the park.